Why sure he did, but I doubt he would give those away, like he did Cadillacs. Seriously, in regards to my home state, I often get questions about smallmouth bass. And Tennessee is known for quality smallmouth fishing, and actually you don’t have to go far, anywhere in the Mid-Southern region, to find some good smallmouth fishing. People often ask me my plan for a trophy Tennessee smallie. And well, here’s my game plan. I’d look for the ideal lake, one that has a reputation for big smallies. This would mean a locale that has excellent water quality and a tremendous forage base. 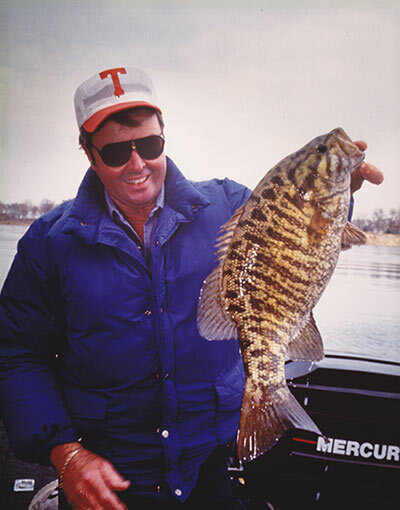 Your best chance will be in one of the South’s renowned smallmouth lakes, primarily because of the longer growing season. Locations you’d look for would be points, slopes and ledges that have irregular features and are adjacent to deeper water. The bottom composition should be hard with sand, gravel, black shale rock or red mud mixed-in. Depth depends upon the lake, reservoir or river you are fishing. The ideal depth could depend upon whether you are fishing a lowland, midland or highland body of water. Lure selection is going to likewise be dictated by the depth and water clarity, as well as the time of year you are fishing. Time of year will also determine lure presentation. For shallow smallmouths, an overcast day from an approaching front with a falling barometric pressure is best. With deeper fish, I prefer an overcast day with stable barometric pressure and a calm or light chop on the water. Personally, I like mid-November through mid-April for trophy smallmouth pursuits. When the water is below 70 degrees is most likely the time when you will catch a bragging-size bronzeback. Each year, you normally have a two-week period in the time frame mentioned above when conditions are ideal for catching a trophy smallmouth. I think it all has mostly to do with falling temperatures and the movement of forage fish. 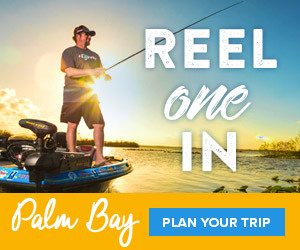 One thing is for sure; during this time an angler must be determined and know that he must put in many, many hours of fishing to achieve his goal. It is extremely important to know the terrain you are fishing and to be at the right place at the right time. What kills your soul is knowing that there are so few days when you know you can be there at the famed right time. The key to scoring big is locating the “setting up housekeeping banks” that smallmouths use for spawning. These banks have small chunks or rocks, pea gravel or black shale rock intermingled with either red or tan clay. Such cover attracts the smallmouth’s favorite food—the crawfish. Water temps and moon phases also have major influences. Normally, a major migration occurs on a new moon phase and is followed later on a full moon phase. I am also a big believer in bigger baits for big smallmouth. They create a bigger image and there’s more room for contact and less room for error.